Asthma death rates in South Africa remain among the highest in the world, according to the 2018 Global Asthma Report. Globally, an estimated 339 million people are affected. Asthma death rates in South Africa remain among the highest in the world, according to the 2018 Global Asthma Report. The report was released at the end of August at the General Meeting of the Global Alliance Against Chronic Respiratory Diseases of the World Health Organization (WHO). Globally, an estimated 339 million people are affected. Asthma is one of those illnesses that affects people from higher and lower/middle income countries equally. The report further states that asthma is the most common chronic illness in South African children and its prevalence is increasing in both urban and rural areas. According to the International Study of Asthma and Allergies in Childhood (ISAAC) Phase III, asthma prevalence for 13- to 14-year olds was 20% in Cape Town (increased from 16% found in ISAAC Phase I) and 18% in Polokwane. Severe symptoms also increased over this time, with about 50% of all children with asthma having severe, uncontrolled symptoms. Amongst 6- to 7-year old children in Polokwane, the prevalence of asthma symptoms and of severe disease was 11.2% and 5.7%, respectively. Asthma often runs in families, and identical twins are more likely to have the same asthma status than are non-identical twins. 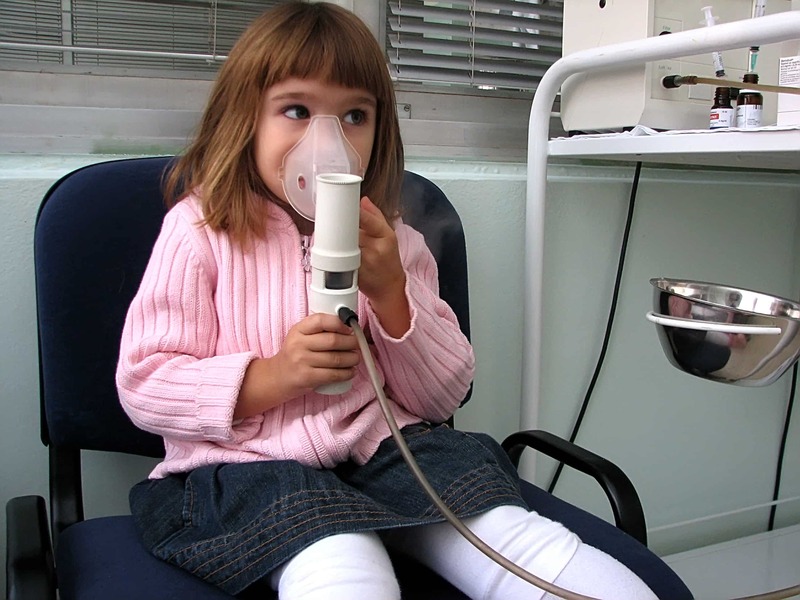 Researchers have identified a number of genetic variants that influence asthma risk, mainly in children. However, there is still a great gap of ’missing heritability‘ to be discovered, and the interaction between genes and the environment through epigenetic changes is a current focus for research, stated the authors of the report. Environmental tobacco smoke has been confirmed as a risk factor for asthma, both in childhood and adulthood. Pre-natal exposure to tobacco smoke is also important. This is considered to be a causal relationship, implying that the prevalence (and severity) of asthma would reduce if exposure to tobacco smoke was reduced. Evidence of an increased risk of asthma due to indoor air pollutants (e.g. cooking on an indoor open fire) or outdoor air pollutants (e.g. suspension particles or sulphur dioxide) is less clear and consistent than for tobacco smoke. Dampness is a potentially modifiable risk factor for asthma worldwide, though its association with asthma is stronger in low- and middle-income countries (LMICs) than in high-income countries (HICs). This risk is independent of allergic sensitisation to house dust mites, which is more common in damp homes. In HICs, exposure to furry pets is often less common among asthmatic children and adults, due to avoidance or removal of pets by allergic families. In LMICs, this avoidance is less common and there is evidence that cats in the home during the first year of life are a risk factor for asthma. Several large studies in HICs have shown a lower prevalence of asthma among children living on farms, but this is probably not so in LMICs. Asthma symptoms are more common among children treated with antibiotics in early childhood. The direction of cause and effect is uncertain because antibiotics may be given for chest illnesses, which could be an early manifestation of asthma. Similar considerations of ‘reverse causation’ apply to the association with paracetamol (acetaminophen) exposure in infancy. Occupational asthma may develop after the prolonged inhalation of certain agents, in people with no previous history of chest disease and can sometimes persist after exposure to the causal agent is removed. High-risk occupations include baking, woodworking, farming, exposure to laboratory animals, and use of certain chemicals, notably paints containing isocyanates. The available evidence suggests that diets widely recommended to prevent cardiovascular diseases and cancer may slightly reduce the risk of asthma. Thus, ‘fast food’ increases risk and fresh fruit and vegetables appear to be protective against asthma. A link has also been established between obesity and increased risk of asthma, both in children and adults. Prolonged exclusive breastfeeding protects against early respiratory viral infections that cause wheezing in infancy. However, protection from asthma at school age seems confined to nonatopic asthma in LMICs. Several studies show that there is limited access to affordable, quality-assured essential asthma medicines in many LMICs. The WHO Non-Communicable Disease (NCD) Global Action Plan 2013-2020 set an 80% target for availability of essential NCD medicines in both public and private facilities by 2025. Avoidable asthma deaths – about 1000 per day – are still occurring due to inappropriate management of asthma, said Prof Innes Asher, chairperson of the Global Asthma Network, at the launch of the report. Good long-term management can reduce the burden of asthma, she stressed. This includes using relatively simple measures within a systematic national or local strategy, which can improve early detection of asthma and provide effective preventive treatment. Currently, asthma cannot be cured, and there are very limited evidence-based options to prevent its development. The emphasis is therefore on achieving asthma symptom control and preventing future asthma attacks. Anti-inflammatory therapy with inhaled corticosteroids (ICS), with or without long-acting β2-agonist (LABA), is the cornerstone of management of persistent asthma. Preventer ICS is recommended for more frequent symptoms and reliever bronchodilator for acute symptoms. Until 2017, the WHO Model List of Essential Medicines (EML) included two ICS and one short-acting β2-agonist (SABA) for asthma. In 2017 a combination ICS and rapidly-acting LABA was added, the latter giving symptom relief and thus encouraging adherence to ICS. Recent evidence suggests that, in people with mild asthma, combination budesonide-formoterol, used as needed for symptoms, may be as effective as ICS, used regularly twice daily, together with SABA used as needed for symptoms. One bronchodilator: Salbutamol sulphate in these formulations: metered dose inhaler: 100μg, respirator solution for use in nebulisers: 5mg/mL, and injection: 50μg/mL in 5mL ampoule. The authors of the report stressed that access to affordable medicines, appropriate to the severity of their asthma, is needed – a β2-agonist reliever for all people with asthma, and an ICS preventer for those with more frequent symptoms. Developing policies to enable access to affordable, good quality medical care and quality-assured asthma medicines for all suffers of asthma worldwide.